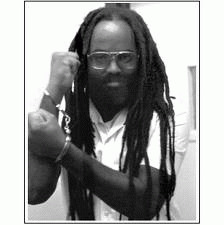 Here's a prediction: Seth Williams, the district attorney of Philadelphia, will decide not to seek to reimpose the death penalty on Mumia Abu-Jamal, the world-famous journalist, former Black Panther and condemned prisoner who has spent the last almost 30 years of his life on Pennsylvania's overcrowded death row. The choice belongs to Williams, now that the U.S. Supreme Court has decided, on its second time dealing with the issue, not to overturn the decision of a three-judge panel of the Third Circuit Court of Appeals, which had, on orders of the Supreme Court, reheard, reconsidered and reaffirmed its earlier decision upholding the tossing out of Abu-Jamal's death sentence by a lower federal district court. For years since the dramatic 2001 decision by Federal District Judge William Yohn overturning Abu-Jamal's death sentence on grounds that the trial judge's instructions to the jury had been faulty and that the jury verdict form was dangerously misleading, Abu-Jamal has remained in brutal solitary confinement at SCI-Green. That's the super-max facility that houses Pennsylvania's condemned prisoners, where Abu-Jamal and the others who are actually facing death are denied any human contact either with each other or with close relatives and friends (visits are conducted through heavy bullet-proof plexiglass, with the inmate in chains, for no good reason beyond simple gratuitous cruelty, since escape is impossible). He was kept there for the last decade through the machinations of a vindictive DA's office, which argued that as long as the lifting of his death sentence was on appeal, he should have to stay put as if he were facing imminent death. Now there is no reason or excuse to keep him in that hell hole.